Anyone interested in obtaining the best protection and privacy for all web-based activities are bound to come across the question VPN or Tor? Both VPN and Tor offers a safer environment for family activities on the internet yet they are different in several ways, and the best between the two will come down to each person’s individual or specific need. Understanding both is the best way to determine the perfect solution, and for this reason, our article lists the pros and cons of each. Tor: A network distributing node routes individual’s internet connections randomly while it encrypts every node. Use: Inside the Tor web browser all user’s actions are protected. Devices: Tor browser is available for Android, GNU/Linux, Microsoft Windows, and MacOS. VPN: A server acts as the middleman between the user and the web destination, it also encrypts connections passing through it. Impossible to Trace: Yes, although only the VPN supplier knows user’s identity and promise that no user logs are kept. The Onion Router or Tor is a service allowing individuals to browse and enjoy other internet services anonymously when the connection is routed through a number of nodes. It is a decentralized system that protects activities by directing user’s connections via a network of random nodes. Internet connection via no VPN or TOR directs devices direct to the internet, in which the destination can see the individuals IP address and have a log on visits, visiting time, and duration of the visit. By using Tor, the nodes know the IP address that enters the nodes immediately before it enters the node and thereafter, making its path unknown to all. While nodes are sending data back and forth, Tor also offers a layer of encryption and everything received or send via it encrypted several times before its transferred between several nodes. The encryption and anonymity offer users complete privacy since there is no way to determine web activity since not government or ISPs have the power to trace TOR user’s activities. TOR use starts by installing it on individual’s devices, and there is a version available for GNU/Linux, MacOS, Windows, and Android. Installation is fast and easy and once installed, users can start browsers and connect via Tor, the connection is instantly protected and all browsing anonymous. Virtual Private Network or VPN is a service allowing individuals to connect via routing their connection via a VPN server; servers are placed across the globe. Connections via no Tor or VPN services allow visited sites to identify their visitors and IP addresses can be traced back to the location the visitor is visiting from. By using VPN, the VPN server is in the centre of the connection and makes it appear that browsing is taking place from a different part of the world. A VPN enables users to establish an encrypted and super safe connection between the device and the VPN server. The server performs all the browsing on behalf of the users, and it appears to sites that the traffic on the website originates from the VPN server. By enabling a VPN, individuals browsing activities and websites visited are anonymous, ISP companies can only see an encrypted data stream and can’t identify where it is going to, or what it is. Apart from protecting users IP address and destination as well as activities it also provides users with the ability to bypass blocked sites such as Netflix and other geo-restricted sites. 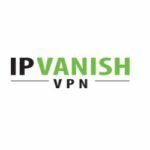 To most, VPN sounds fairly sophisticated technology and that it is, yet it is easy to use, and several VPN software providers feature applications for all platforms and devices. VPN apps are easy to install, and advice and assistance are offered 24 hours a day should new users need advice. Once the VPN app is installed, users need to launch the application, connect and it is possible to choose the location, and all browsing is anonymous instantly, and unblock all government or geo-locked websites from anywhere in the world. The distributed network cannot the destroyed via single node attacking as it would route around the node. All data are encrypted multiple times as connection goes through several nodes. Tor is portable, and a version can be carried on USB and used at public places. By using Tor, services can be slow due to the switching between several nodes as websites are visited, and data is sent from the user’s device to websites. Although it is unlikely, websites that do not support SSL encryption could result in compromising the last node. Tor use is monitored by some governments since it is famed for nefarious purpose use. Tor works as a web browser and is great for website browsing although it does not protect activity on sites that don’t involve web browsing such as Netflix, peer-to-peer downloading or Dropbox connections. VPNs are much faster than Tor since the connection is offered via servers located in an optimal location. All internet activity is encrypted and cannot be viewed by user’s ISP or governments. Users cannot be identified since IP addresses are protected. The perfect solution for individuals who wish to access Torrent, Netflix or other P2P services. VPN users can unlock geographically restricted sites when a VPN server in a country with access is selected referred to as geo-spoofing. With VPN use, public Wi-Fi connection at airports, hotels or coffee shops is protected. Easy to install and works on all types of connections, platforms, and devices. Protects all web activity and can be used on all family devices and assistance is available 24/7. The VPN software supplier knows who the user is although many promises that no logs are kept. While several VPN services offer free options, the best protection is offered via the paid versions. VPN services are highly affordable, but complete protection is available via paid versions of around $3 per month. VPN connection speeds are determinate by the server placement and quality offered by the VPN service provider. There is not that much difference between VPN and Tor use and at the end of the day, your personal needs would determine the best option for each individual. Tor is recommended for individual dealing with national information, scientific information or uber-important businesses requiring the confidentiality at all times. VPN use is highly recommended for individuals who wish to keep their own and their families every day web use secure, keep IP addresses and location hidden away for safety reasons and unblock websites. 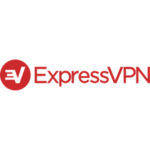 Several great VPN software providers feature family packages which offer the ultimate protection when public Wi-Fi hotspots are used. Parents can also track younger user’s activity and block certain sites, while it is easy to check on which sites children spend time and problems can be identified much sooner. VPN works on routers, smart televisions, PlayStation and Wi, and also offer top protection when peer-to-peer sharing takes place. No matter the choice in web security always keep your system up to date and often change your passwords and never use the same password across all activities.